You can easily Run BKF Viewer software from the programs in start menu. 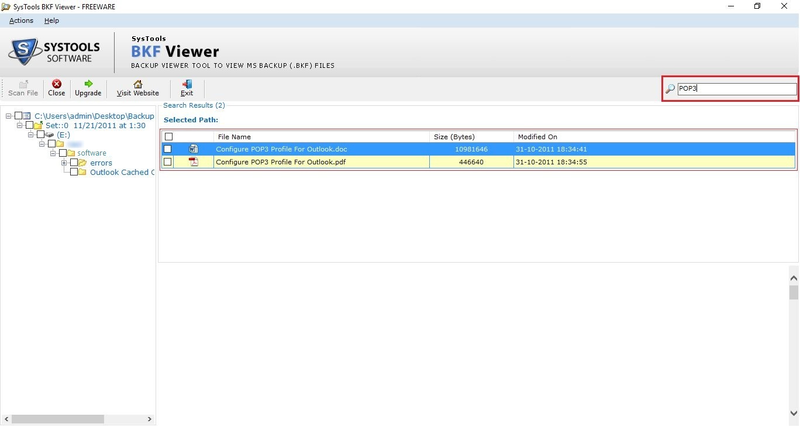 Now click on Browse button to select the .bkf file. Select the file which you want to view & click on Open button. 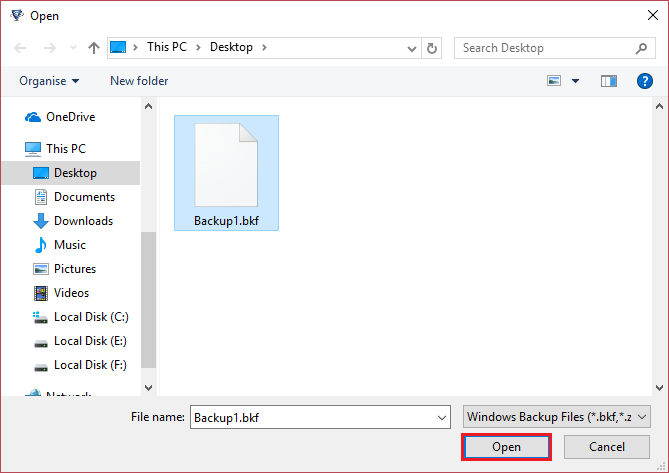 By using this software you can view data of .zip/.bkf Backup files. Quick Scan – If BKF/ Zip file corruption is low then you can use this option to recover & preview file. 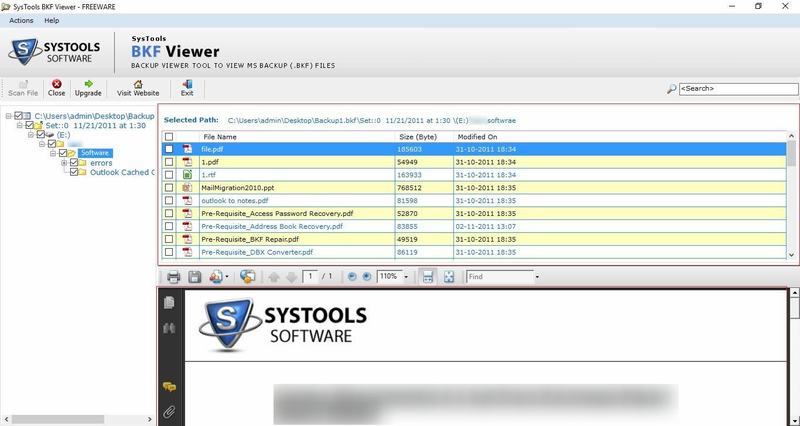 Deep Scan – If the file is highly corrupted then use this option to recover & view files. Range Based Scan – This option allows you to scan file from certain porting of the file. Select scan option & click on Scan button to start scan process. Now, scanning process starts, you can view the current status of the file. After completing scanning process, software display successfully message, click on Ok button. 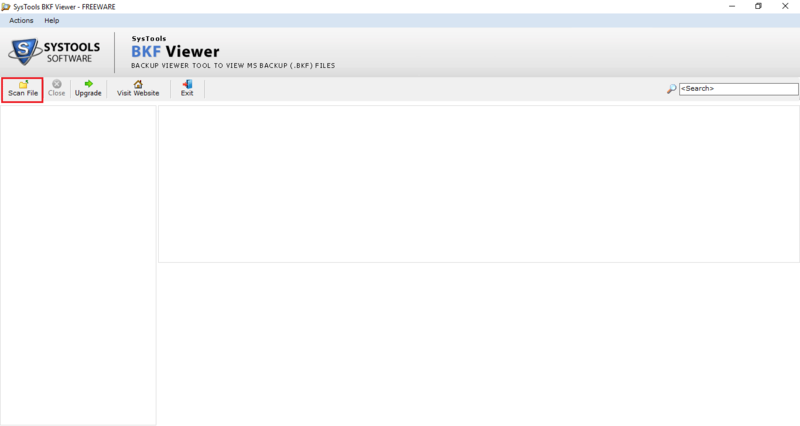 Now, you can view data of the .bkf file in software panel. Software also provides Search option to search a particular file.